Designed by request from a friend who wanted an egyptian feather pendant, this is a handmade pendant which has a traditional feel. 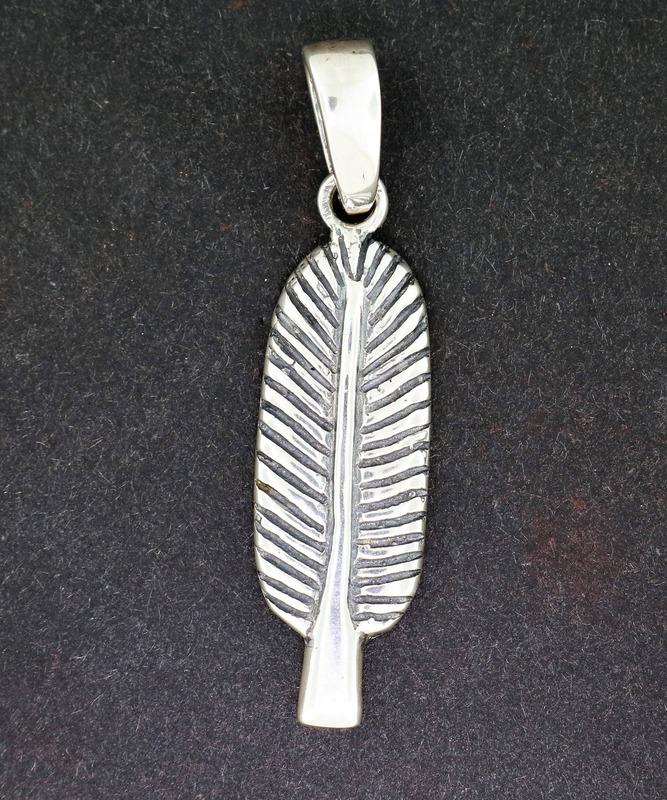 The pendant measures 3cm long with the loop on the top and a bail. Kinda wanted to make a pendant that was more like what you would find on the temple walls in Egypt. It has an appeal to both sexes! I also make one in antique bronze, so if you want one in either, please let me know. The feather was also found on walls of temples and tombs meaning (Sh)u-Šu (Maat's) Shu feather. The feather, because of its name, "shut", was a symbol of Shu. Shu was the Egyptian god of the air and the father of the earth (Geb) and the sky (Nut). Shu was often shown wearing a feather in his hair. Occasionally Geb was shown dressed in feathers, a representation of the air which covers him.